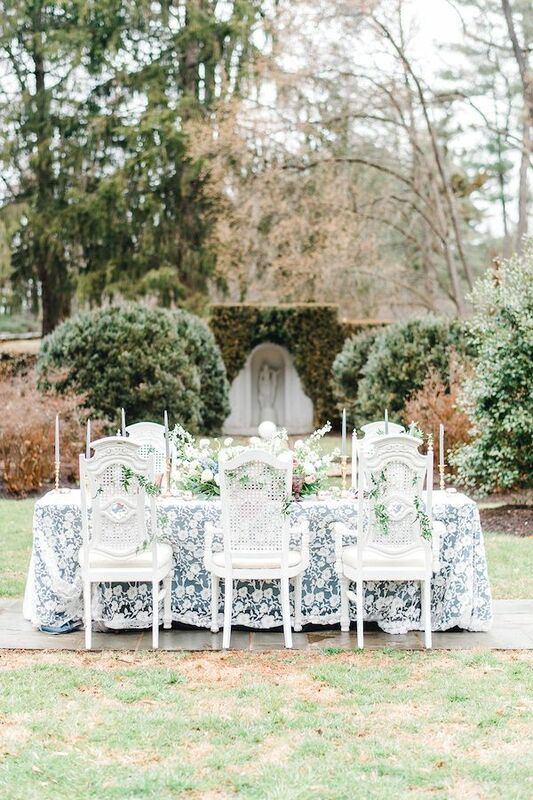 Dusty Blue Virginia Garden Party Done Right! 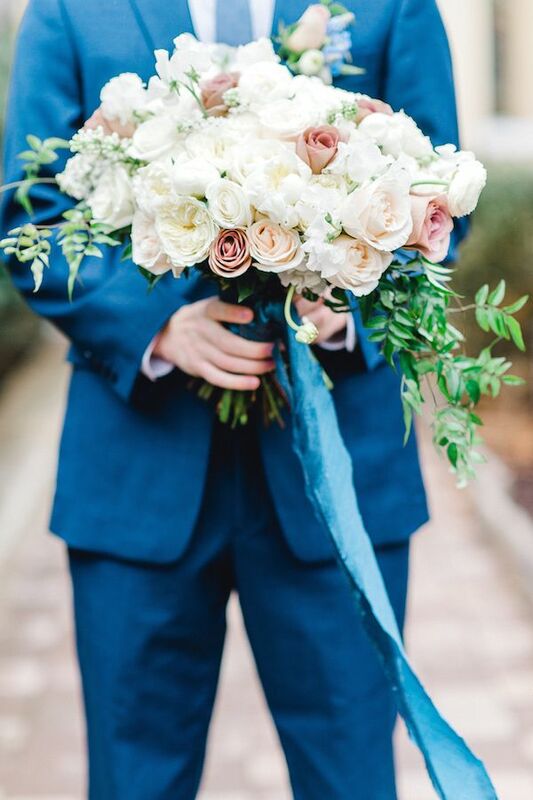 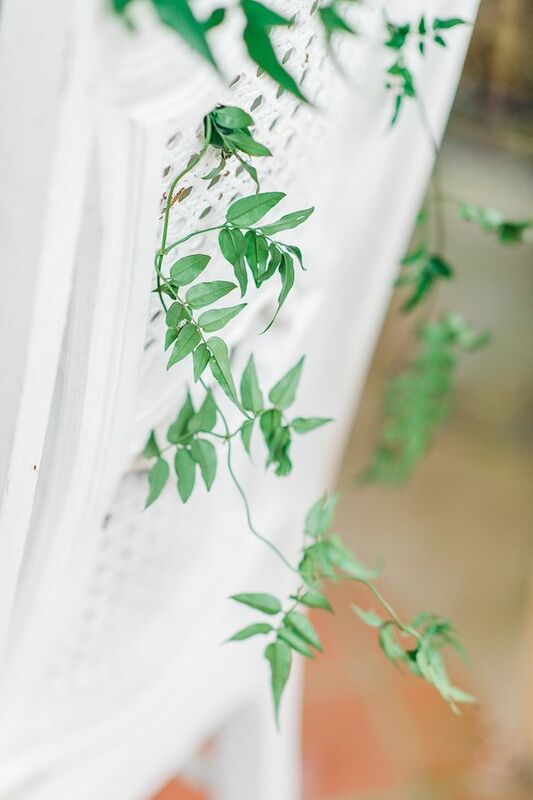 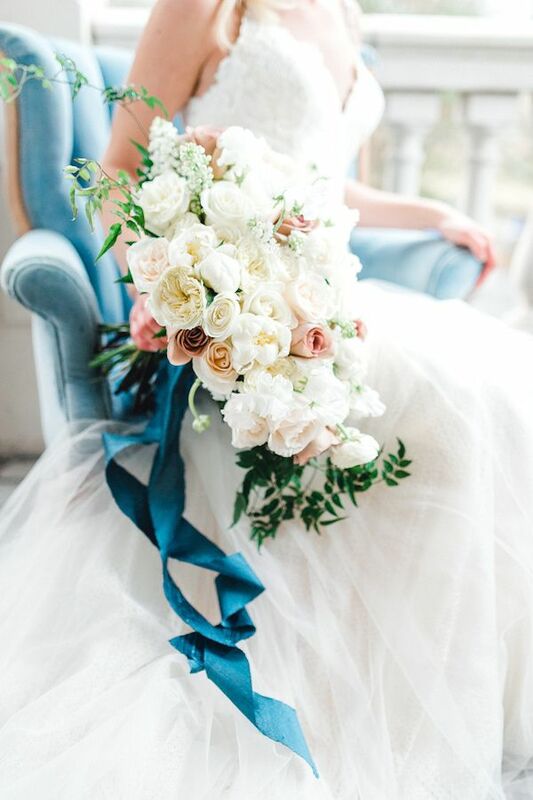 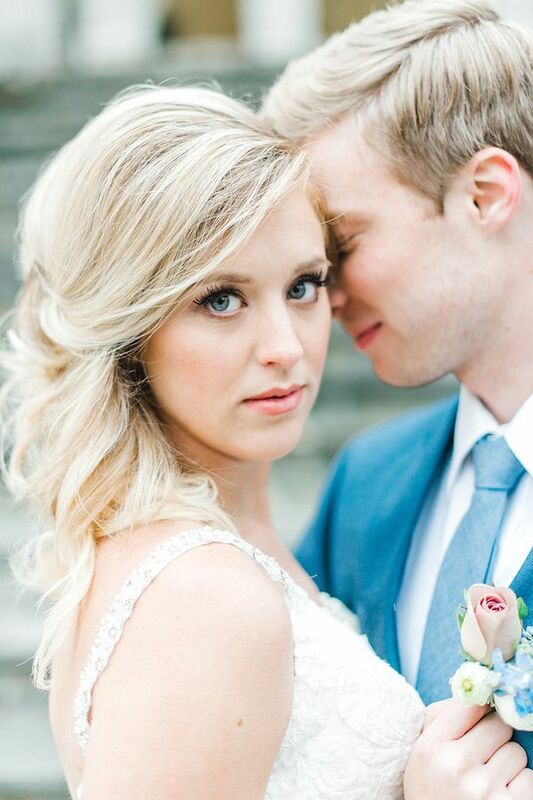 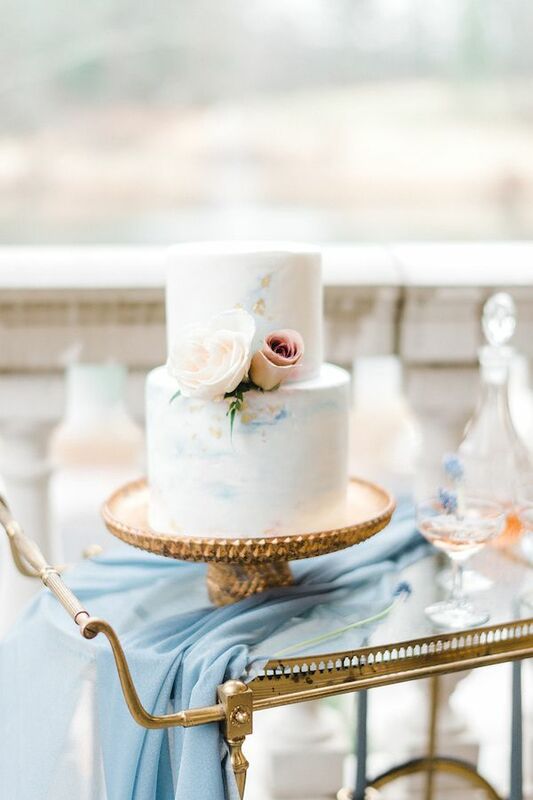 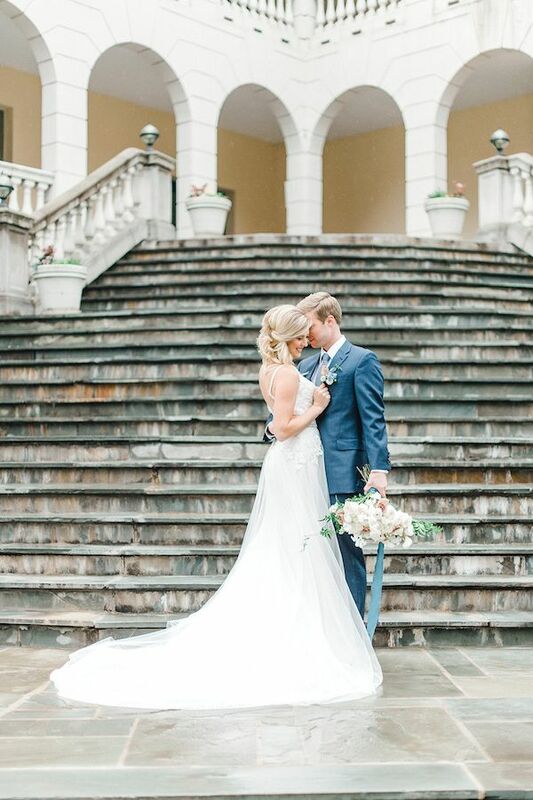 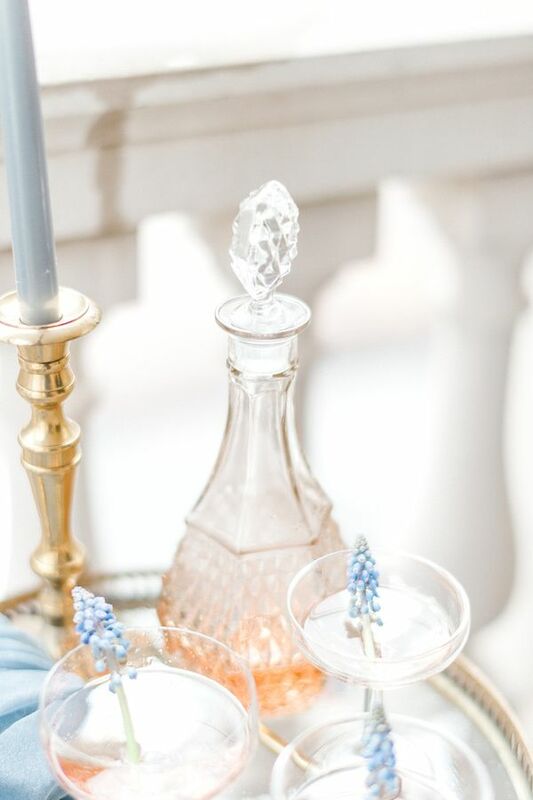 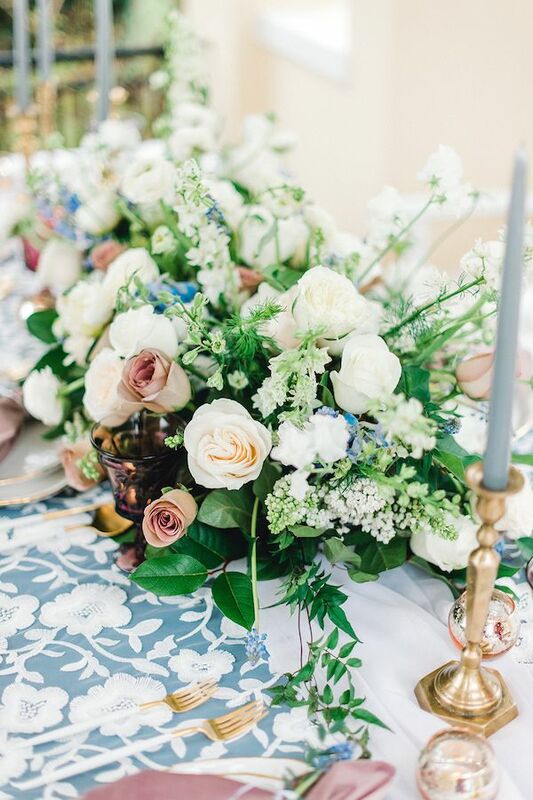 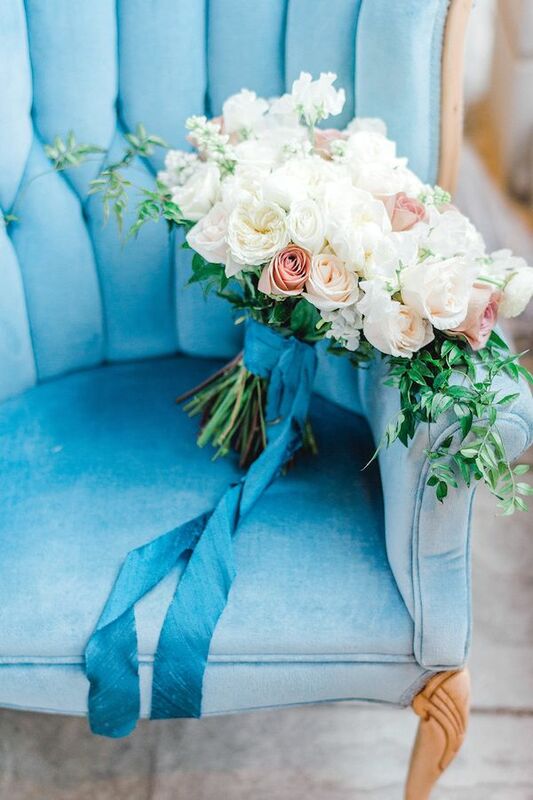 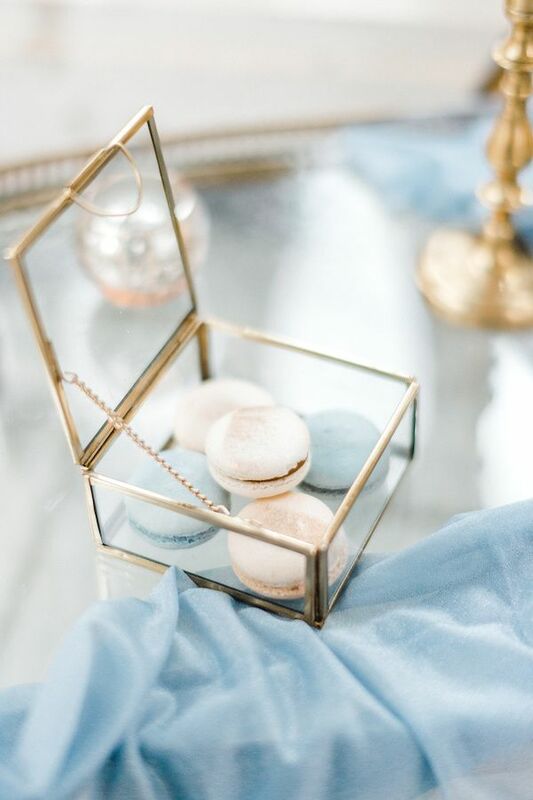 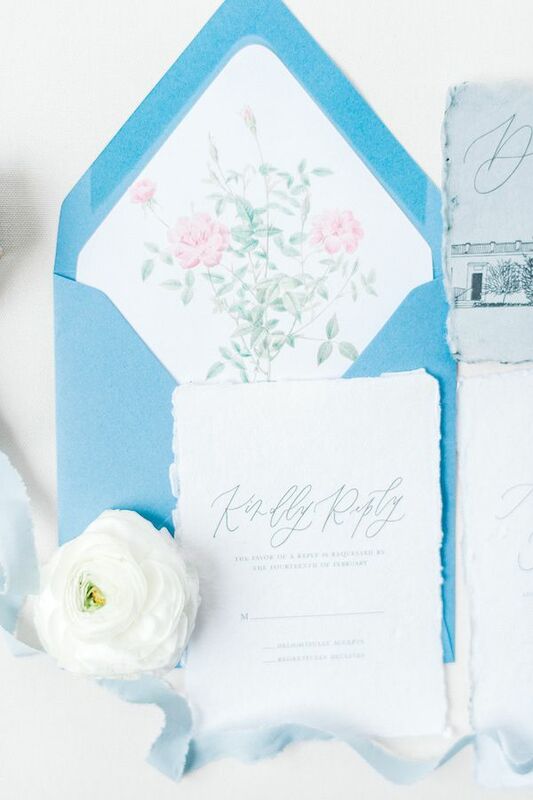 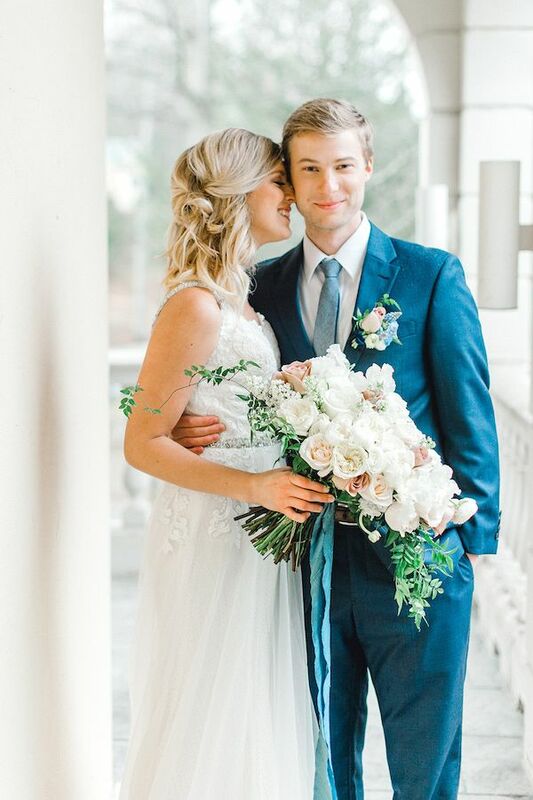 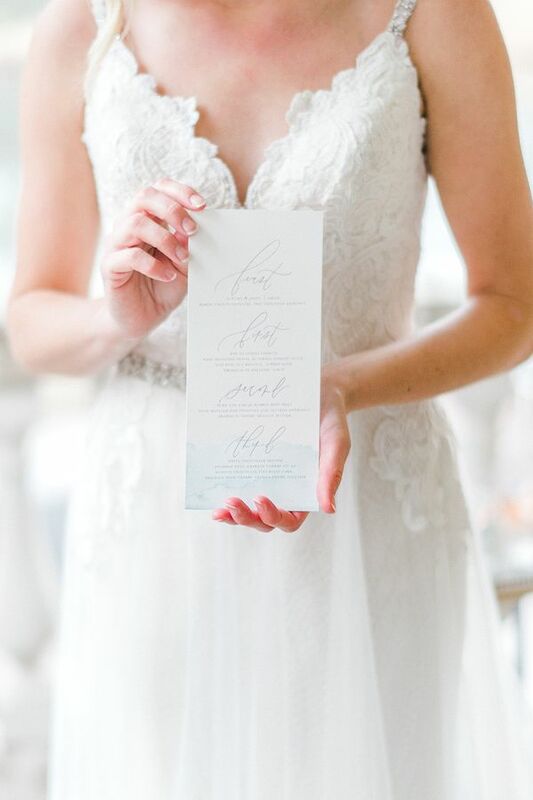 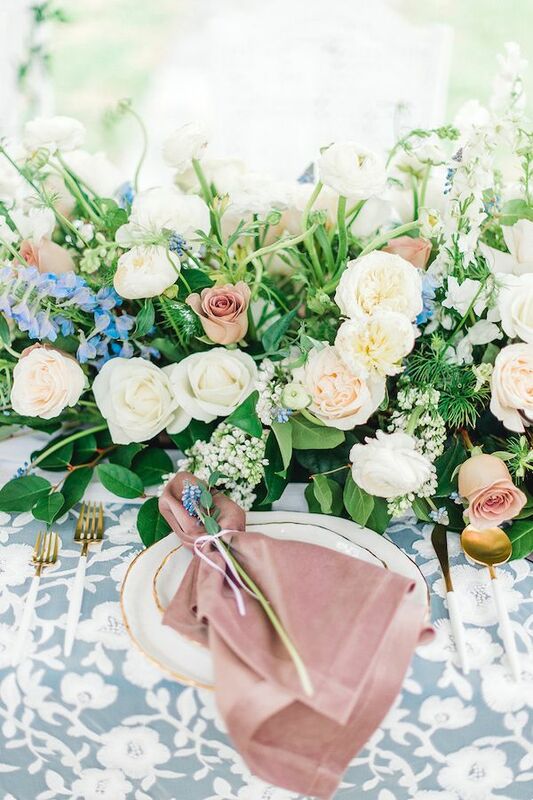 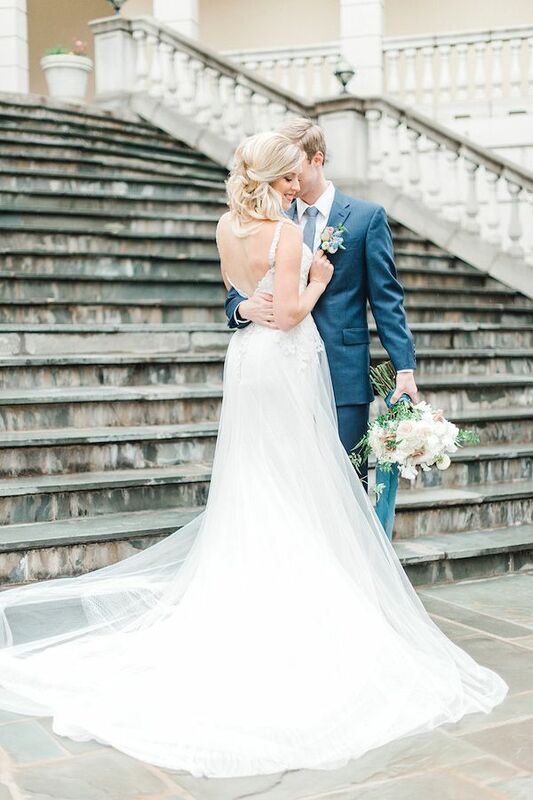 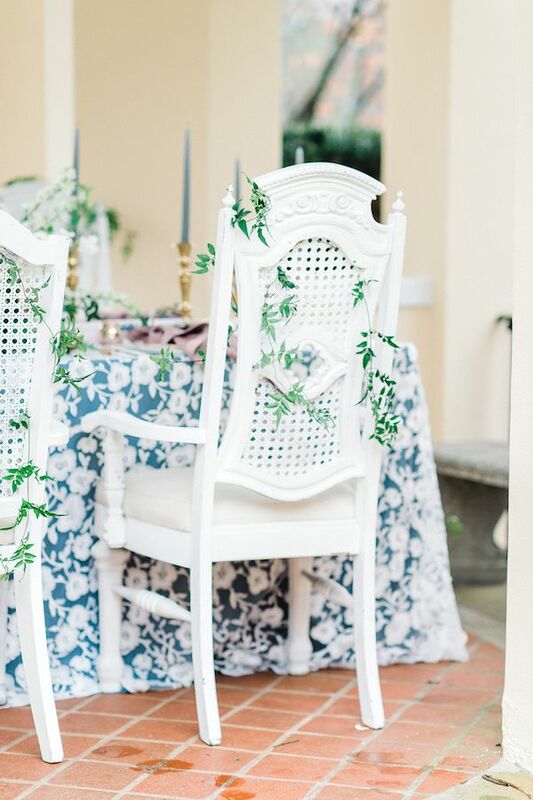 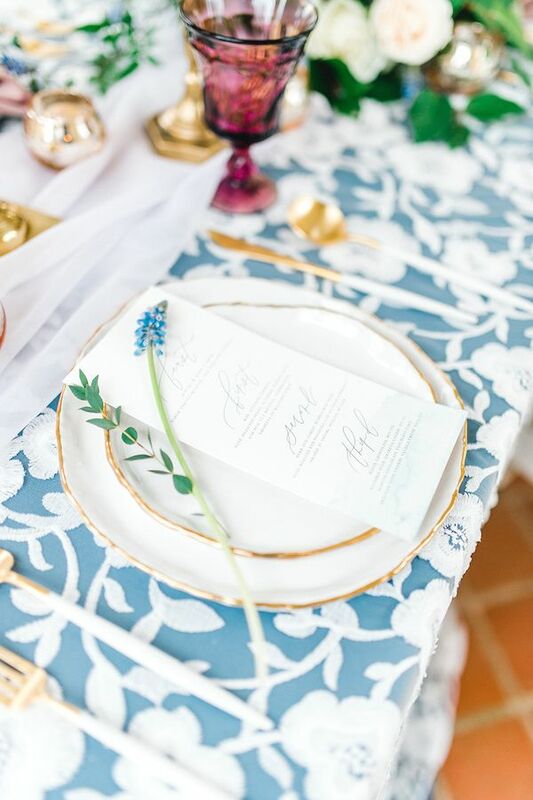 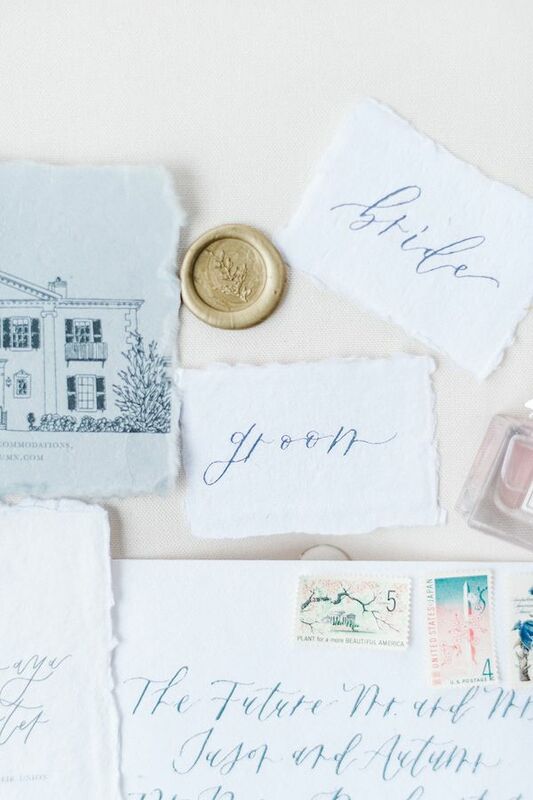 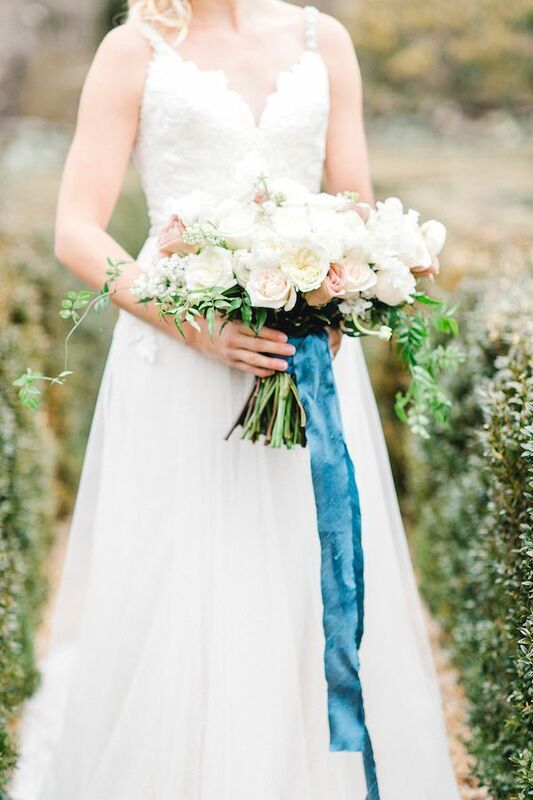 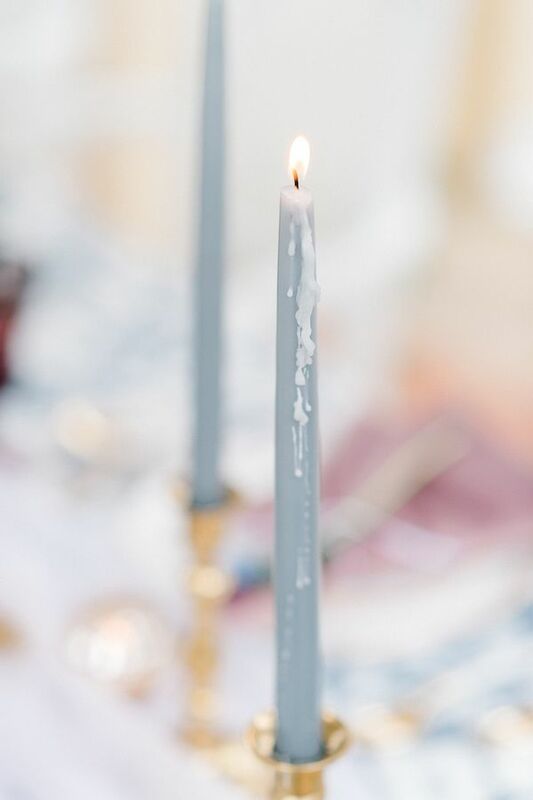 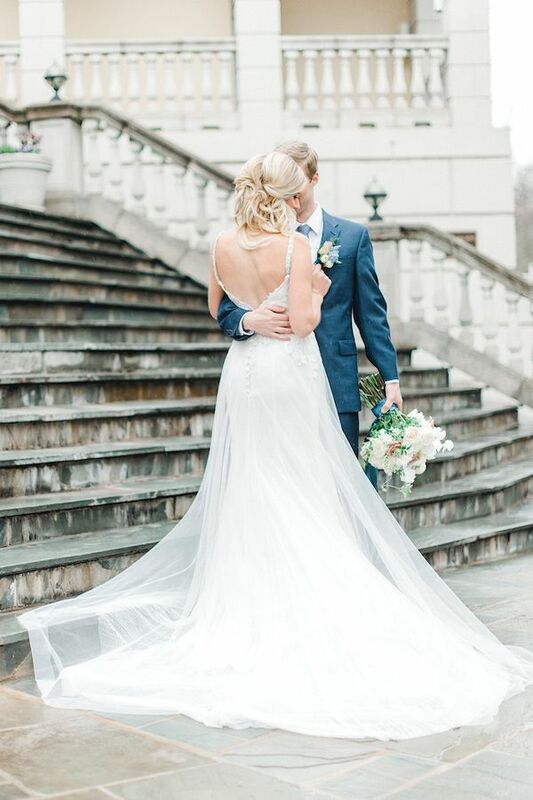 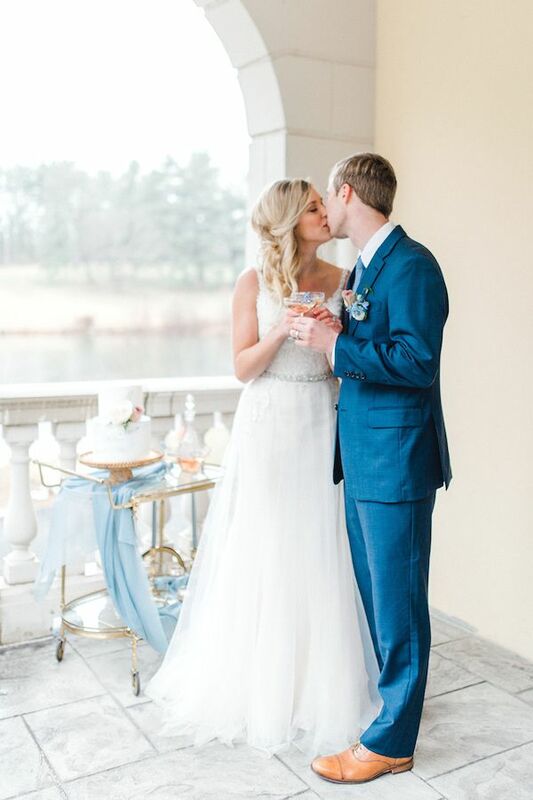 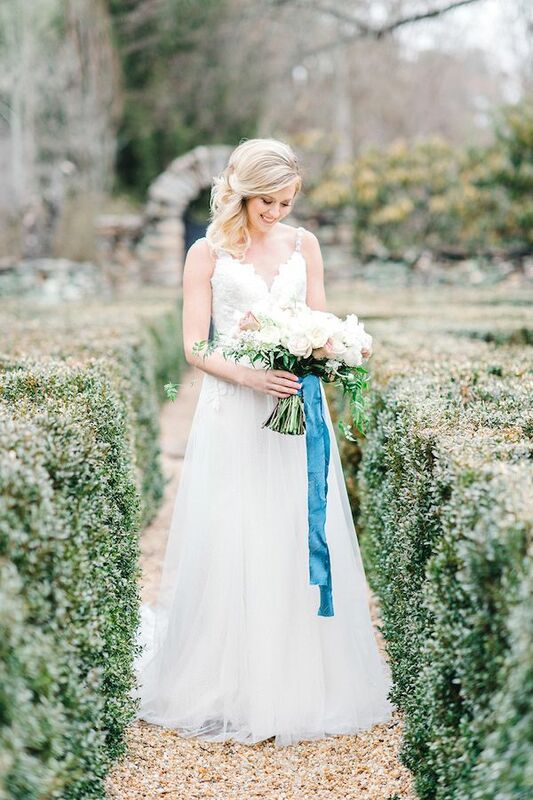 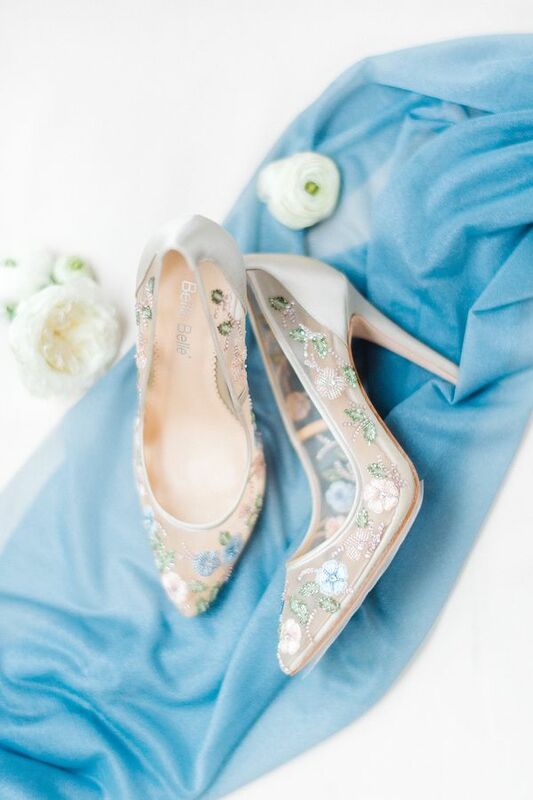 Captured beautifully by Jenny B Photography, today's dusty blue fete is so full of beauty! 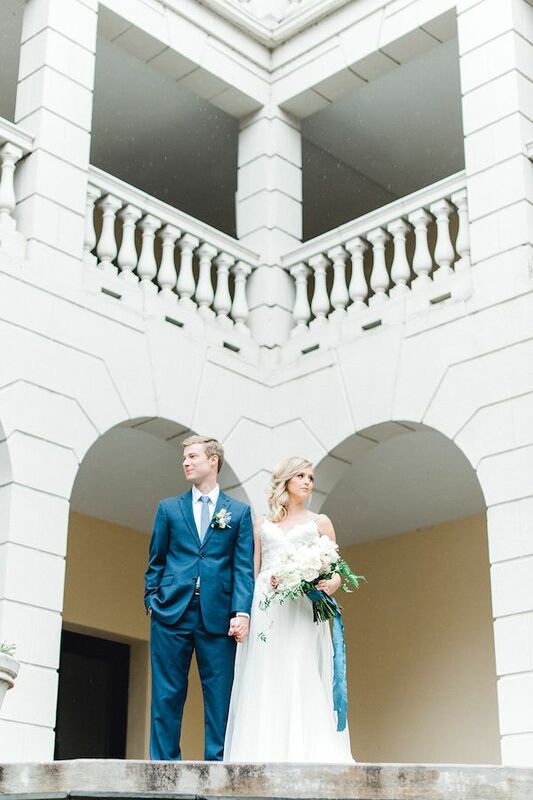 All thanks to SRS Events and team featuring florals by Eight Tree Street Floral at the always beautiful, Airlie. 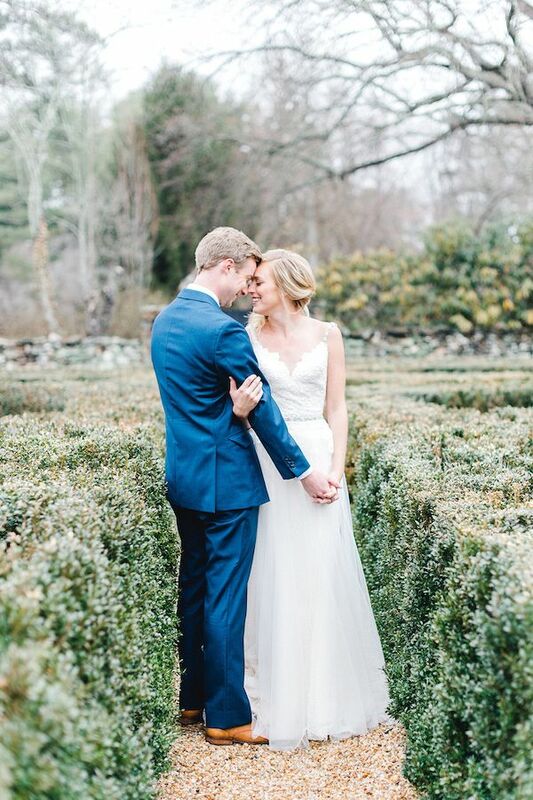 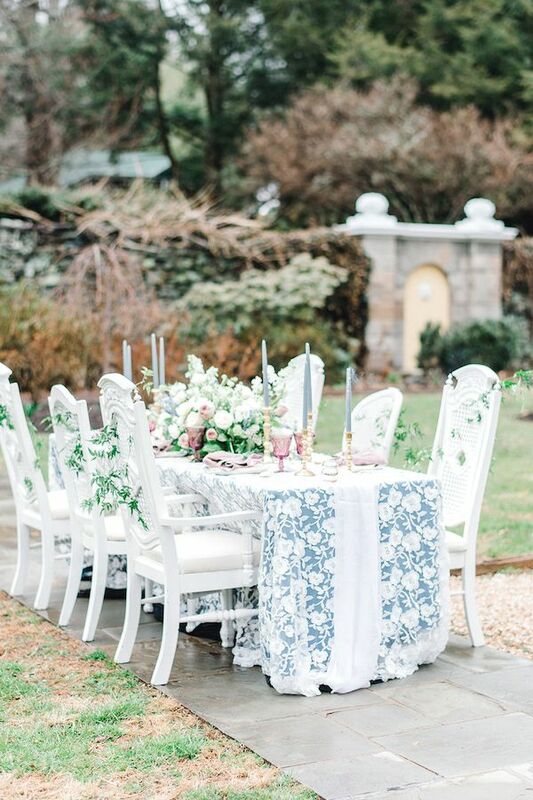 For this intimate garden party elopement in the Virginia countryside, shades of blue and dusty mauve were channeled to create a whimsical, yet elegant effect. 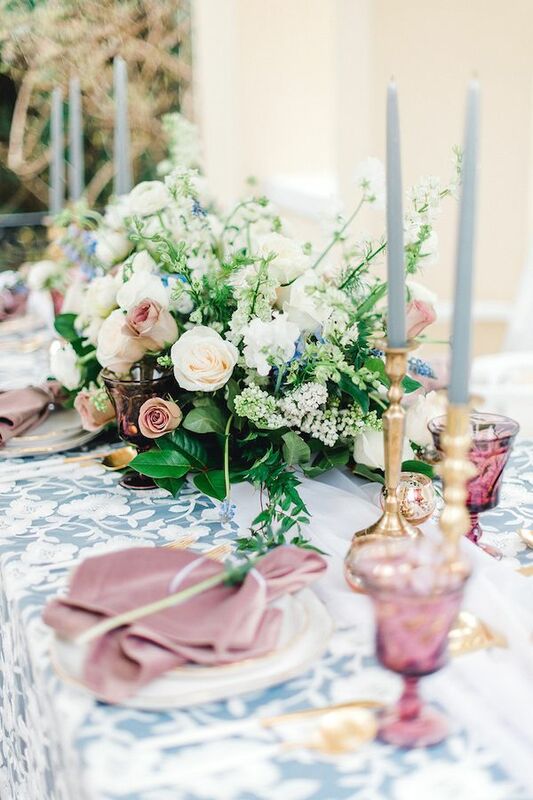 Set in the gardens, the table's focal point featured an arrangement seeming to grow right out of the tables, with lilacs, lavender garden roses, amnesia roses, ranunculus, delphinium, and jasmine. 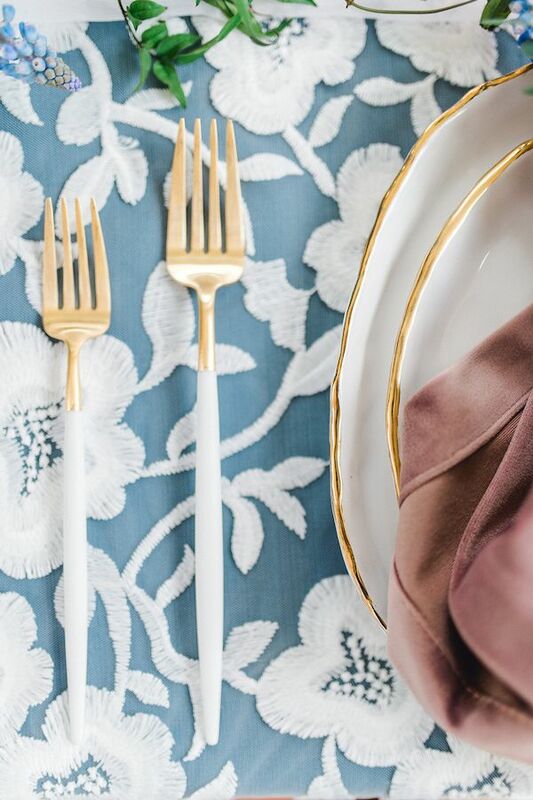 The dusty rose velvet napkins provided the perfect contrast against the delicate lace linen overlay. 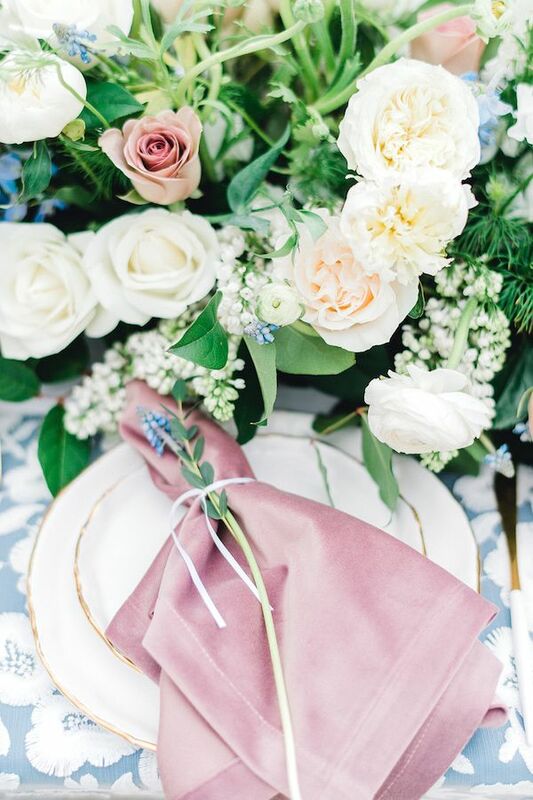 Garnishing the napkins with lavender and greenery provided that extra special touch to complete the tablescape. 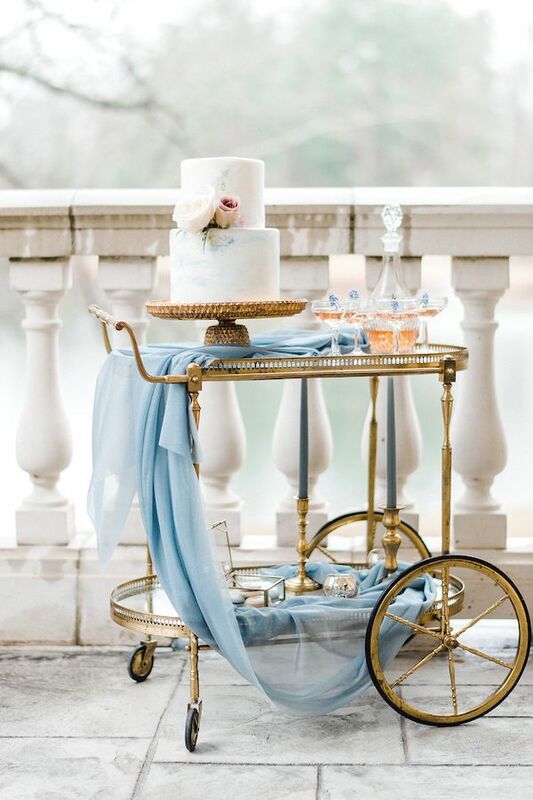 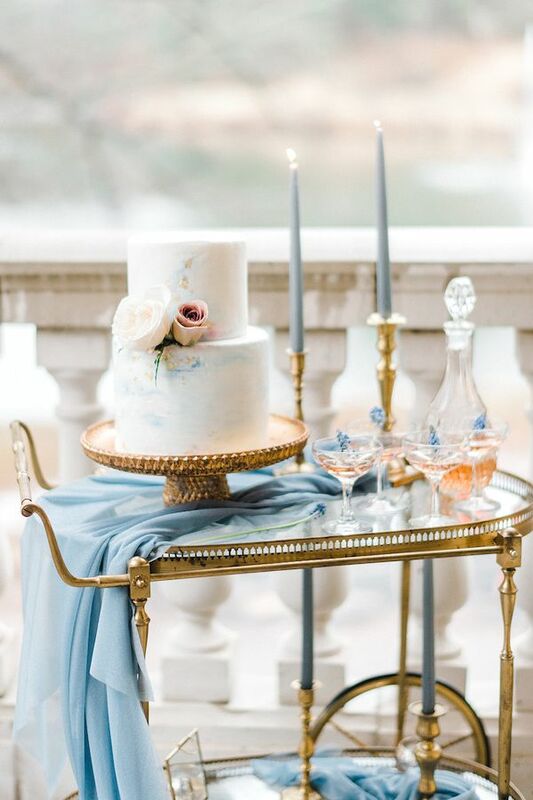 Throughout the garden's grounds, a balcony alcove overlooking the lake displayed the cake and rose' for celebration. 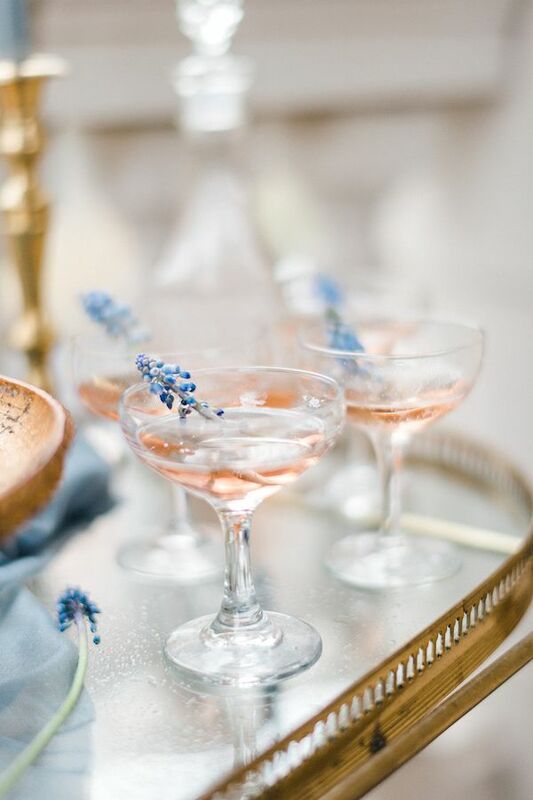 The lavender resurfaced as a garnish in the rose'. 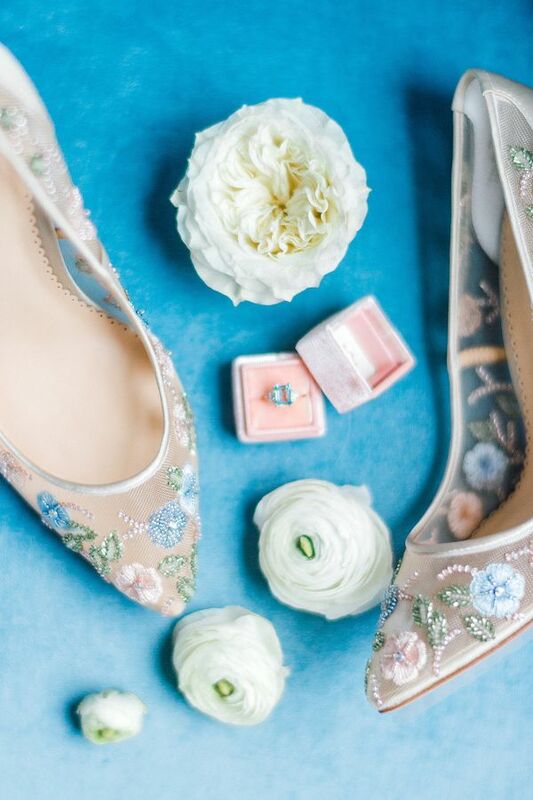 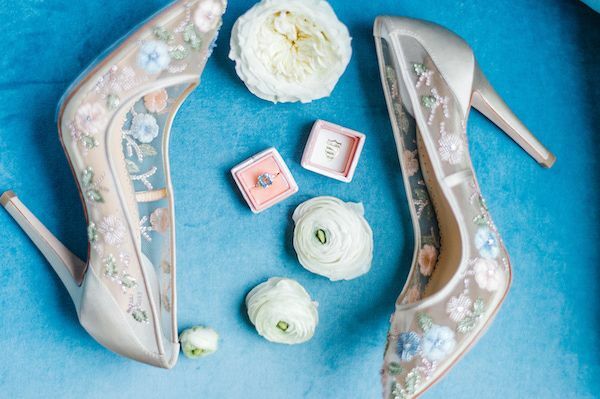 The bride accented her ivory tulle gown with Bella Belle shoes embroidered with pastel flowers mimicking the floral found in her tablescape. 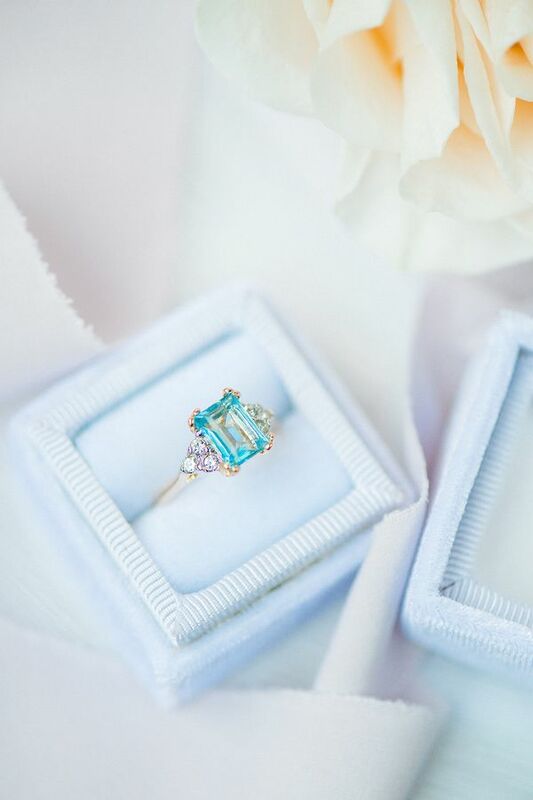 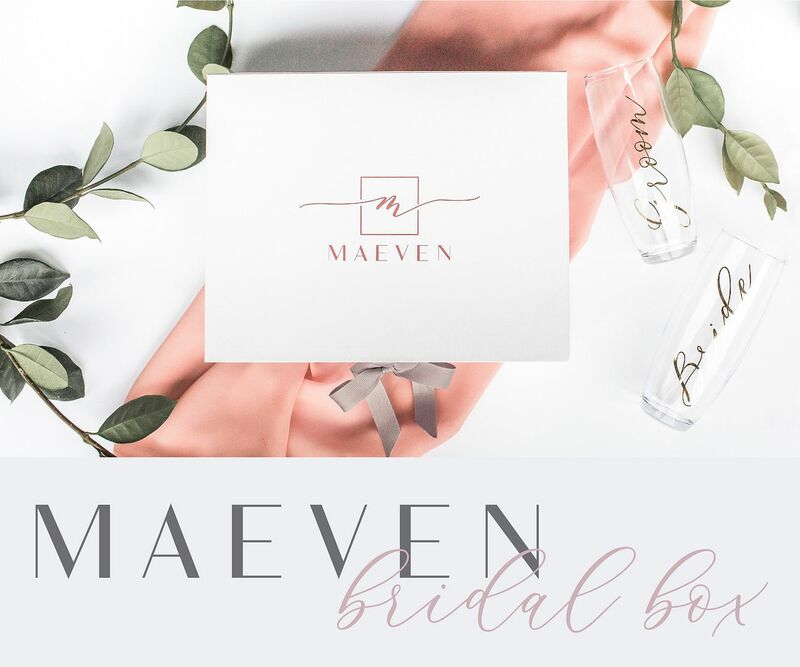 A Mrs Box was the perfect complement to hold her topaz heirloom engagement ring. 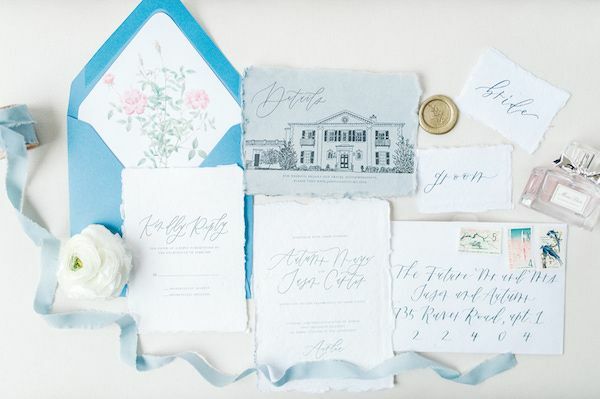 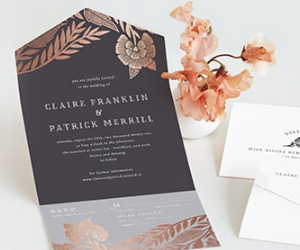 A hand calligraphed invitation suite featuring the venue was the perfect way to invite their nearest and dearest to their secret garden party. 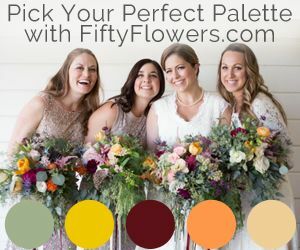 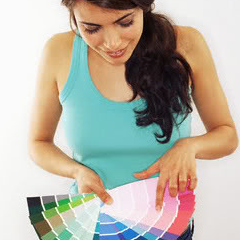 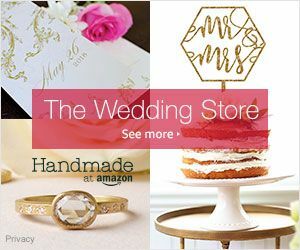 Lots of love to SRS Events who is a cherished vendor guide member of ours here on The Perfect Palette! 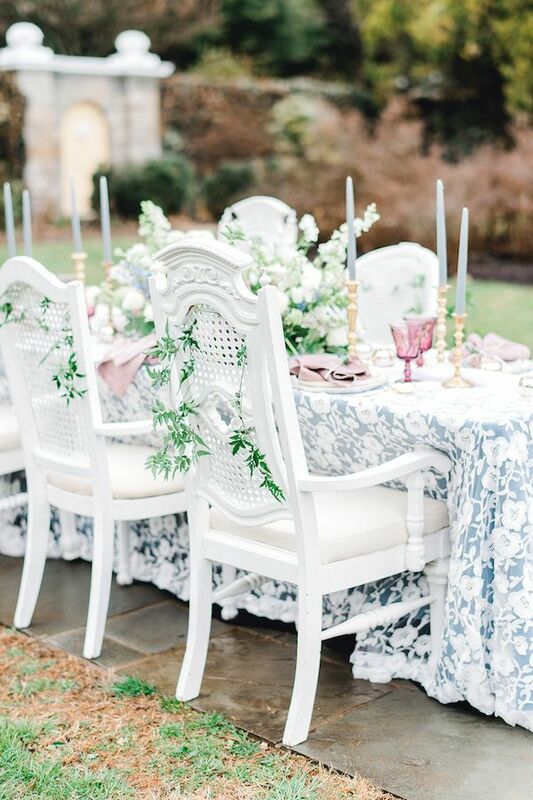 3 Comments " Dusty Blue Virginia Garden Party Done Right! " 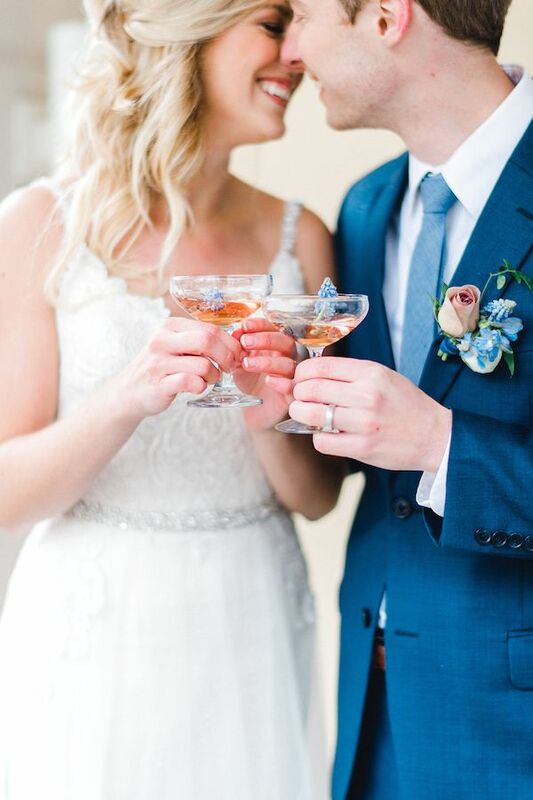 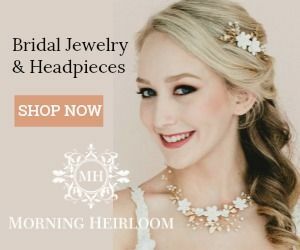 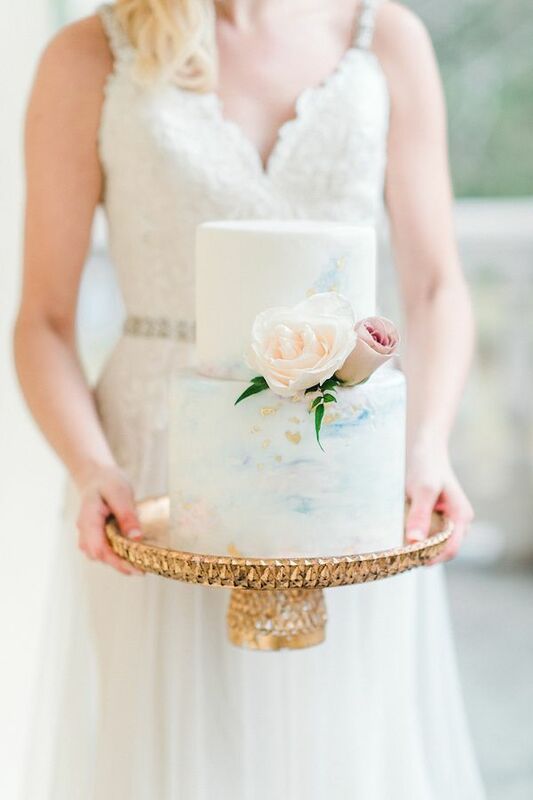 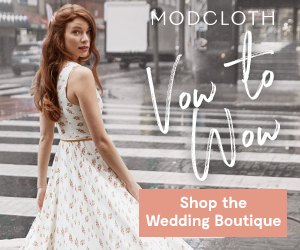 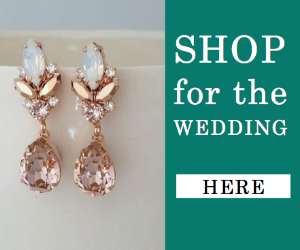 Thank you so much for sharing this beautiful wedding inspiration!! 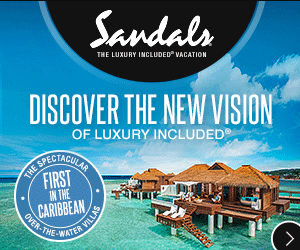 Google Flights Booking Service is an online flight booking service which allows the users to purchase airline tickets through third-party suppliers. 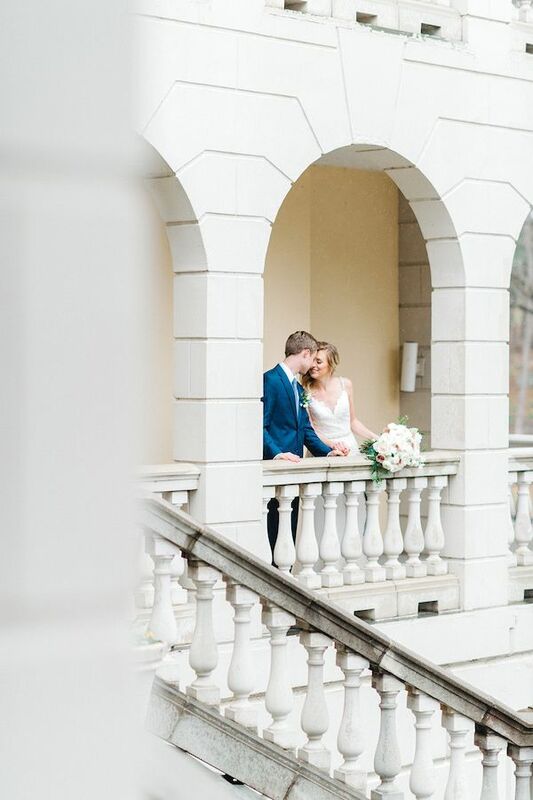 Love your wedding pictures dear… find it very classic, soothing and royal…every thing in picture is perfect. 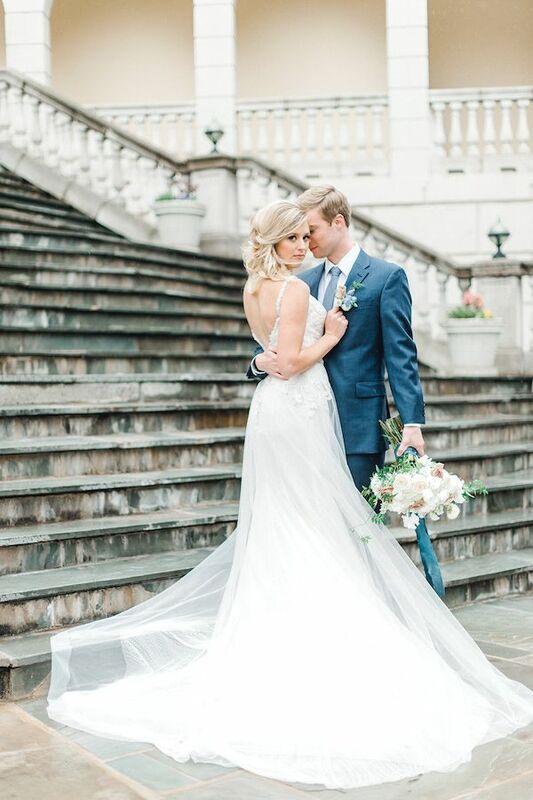 The backgrounf, the light, the color combination, the gown … amazing. 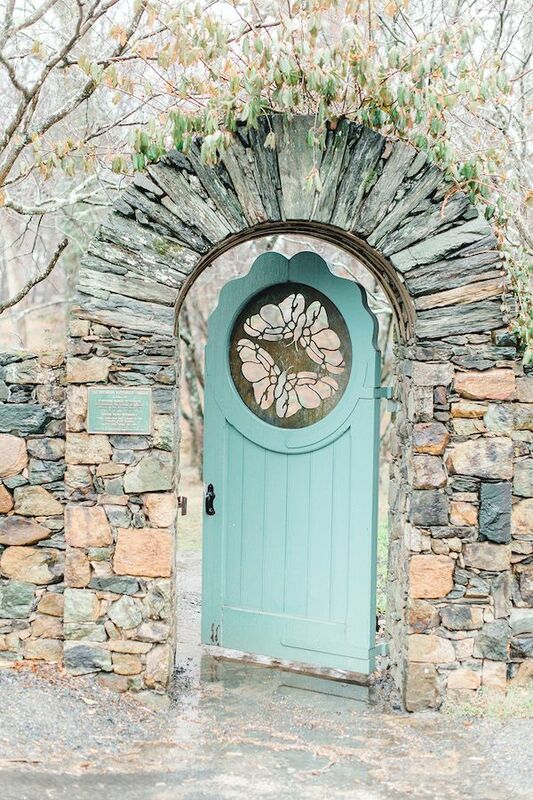 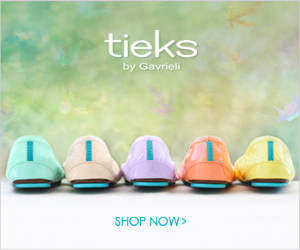 Pictures sayes alot, these pictures seems like a fairy tale…. 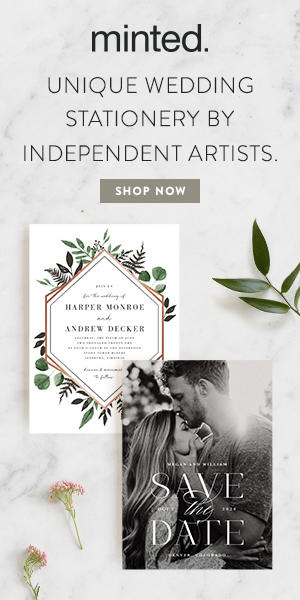 Good one..